Inland Regional Center - Another Way - Another Way Changes Lives! Donate now and help a child or adult with an intellectual/developmental disability in your community. You can help keep a person from homelessness, ill-health and hunger. Founded in 1986, Another Way began as a grassroots, volunteer driven project of Inland Regional Center that has evolved into a comprehensive fundraising program that serves more than 1500 children and adults with intellectual and developmental disabilities each year. Another Way intervenes during times of crisis by funding basic needs and health and wellness services such as food, clothing, rent, utilities, dental work, medications, appliances, burials and other similar items. Funding these items has helped to stabilize our clients' lives, keeping them from homelessness, hunger and ill-health. Another Way was the brainchild of a small group of dedicated case managers who were frustrated by the need they encountered in their daily interaction with clients.Concerned and frustrated these caring individuals decided to mobilize, form a committee, and give willingly of their time and money to help an extremely vulnerable population. Thus, Another Way was born and became the first project of its kind among the states 21 regional centers; a distinction it holds to this day. Regional Centers are nonprofit private corporations that contract with California's Department of Developmental services to provide or coordinate services and supports for individuals with intellectual and/or developmental disabilities such as epilepsy, cerebral palsy, autism, and downs syndrome. Inland Regional Center (IRC) is Another Way's fiscal sponsor and provides support in the form of in-kind donations of office space, equipment, and payroll. All of IRC's Leadership and Board donate. Leadership encourages staff to give. Currently, 160 employees donate $16,000 annually through payroll deduction. In the beginning, Another Way was operated solely by volunteers. This changed in the 1990s when it became apparent that a full-time staff was needed to maintain the program. With one staff dedicated to the program Another Way began to blossom and expanded its program offerings. 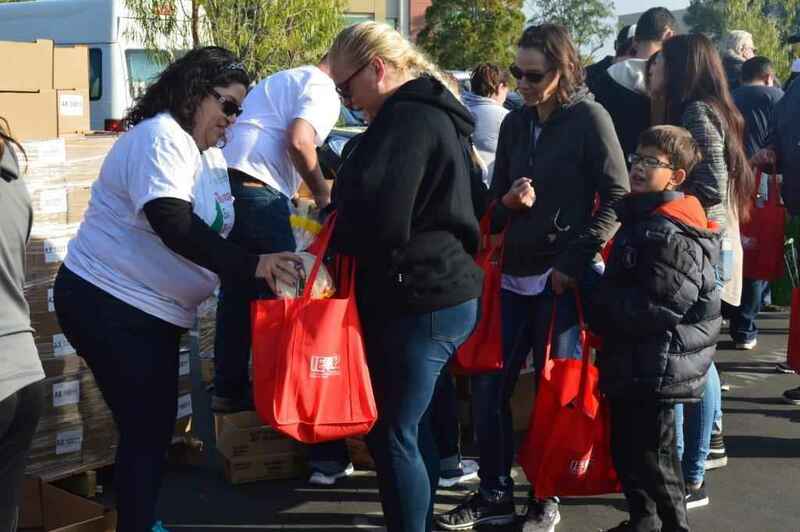 It was during this time that Another Way began to receive grants from The California Wellness, Weingart, and Kaiser Permanente Foundations.